Who knew this would make such a lovely soup. I had some leftover mango to use up, and my mother wanted some soup for lunch, so this was the impromptu soup of the week, given that I did not have enough vegetables. 200g Potatoes, peeled and chopped. 100g Carrots, peeled and chopped. 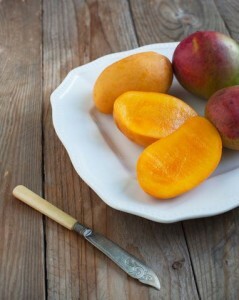 200g Mango, cubed or chopped (skin and stone removed). Add all the ingredients to the soup maker, then simply choose the smooth setting. Ensure you fill your soupmaker to between the minimum and maximum fill levels. You may have to adjust your contents to fit your pot.